A perfectly cooked roast potato is a study in contrasts: the outside should be crisp, crunchy, and salty, while the inside is tender and fluffy. 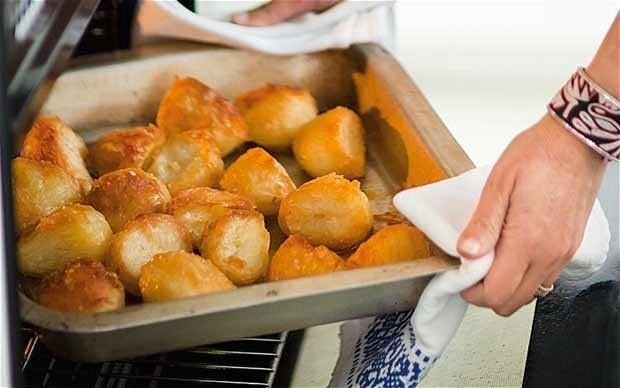 Too often, however, roast potatoes come out overcooked, greasy, and tough. But never fear! With this handy guide, you'll be able to produce perfectly crisp roasted potatoes at home every single time, no matter which of the methods you choose. If you prefer mashed potatoes over roast potatoes, make sure to check out our guide to perfecting fluffy mashed potatoes without adding more butter or milk. Different types of potatoes excel in different ways. For roast potatoes, you want one that's not too starchy or waxy. A medium-starch potato, also known as an "all-purpose" potato is best. 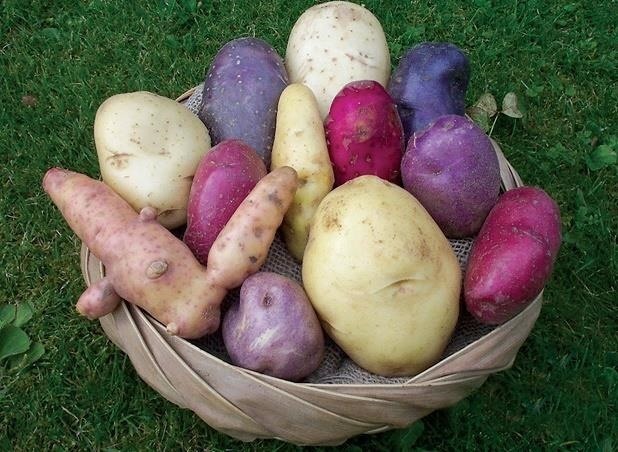 Try yukon gold, red, fingerling, and blue or purple potatoes. They all work well. Even though they're better for baking, a basic russet potato will do in a pinch. 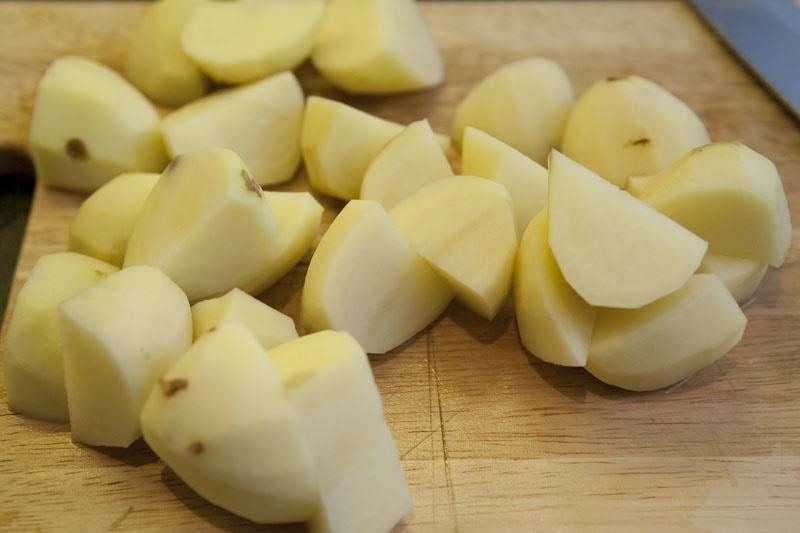 Fine Cooking has a comprehensive potato guide where you can read more. Next, wash, peel, and cut up your potato. You can simply cut them into halves, but if they're very large, you may want to cut them into quarters. Keep the pieces uniform so they'll cook evenly. If the potato is thin-skinned, as with new red potatoes, you can probably skip the peeling part. If you're too lazy to peel your potatoes the traditional way, check out our tip for peeling potatoes faster with your bare hands—but only if you're going to use Method #2 listed below. The trick to getting that perfect surface on your roast potatoes? Scuff up the outside once they're peeled. There are two ways to make this happen. In the first method, you take a regular fork and scuff the potato with the tines while it's still raw. 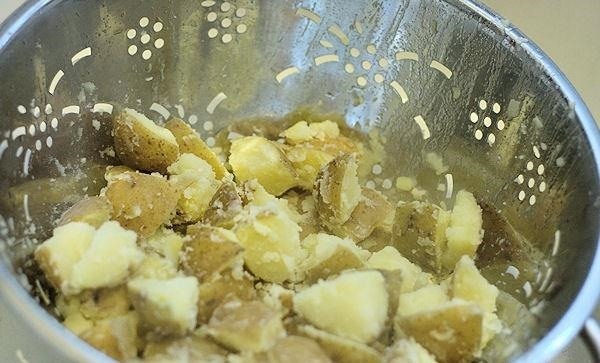 You want to break up the entire surface so that when the potato goes into the oven, it will have lots of crispy edges. Next, salt the potato. This not only gives the potato flavor, but it will dry out the surface for maximum crispiness. Let them sit for a couple of minutes after they're salted so they can absorb flavor before you toss them in oil or butter (or both). In the second method, you parboil the potatoes (simmer them in boiling water for a couple of minutes only until the surface is tender). Then you place the potatoes in a large colander and shake them vigorously so that they get roughed up. If you've got a large amount of potatoes, you may want to do this in batches. Next, sprinkle the potatoes with flour—this serves the same purpose as the salt and dries out the potatoes to help them get nice and crisp. Then baste them with the fat of your choice, and roast them in the oven. BBC Good Food and Delia Smith both have good, if slightly different guides for using the parboiling and colander method. Personally, I tend to use the fork method if I'm cooking for myself or just a couple of people. It saves water and doesn't dirty up a large pot and a colander. If I were making roast potatoes for a crowd, I'd probably go with the second method. Either way, you'll end up with savory, crunchy, tasty potatoes, and that's a win-win situation, if you ask me. So...Oven temperature? Recommended cook time?! They look lovely, and I want that texture! Yeah...you kind of left out important details like temp & time. This isn't a recipe per se, but two tips for making the recipes you already use better. Roasting temp should be as hot as you can make your oven in the roasting setting. My oven can be set to a roasting temp 550 deg F.
I visually inspect the potatoes while cooking but typically in a hot oven, you're looking at 30 minutes or so. I also mix them up about half way thru the cooking cycle. A workaround is using walnut oil. I find that spraying walnut oil on potato cubes & roasting them makes them crunchy while the same temperature & cooking time with peanut, olive, or vegetable oil keeps them soft. But walnut oil is pricey. That's good to know. I wonder why walnut oil increases crunchiness? I'll have to poke around and find out.